For those of you that spent time looking through the Christmas edition of the Australian Multihull World magazine would have come accross the .... Seascape design. 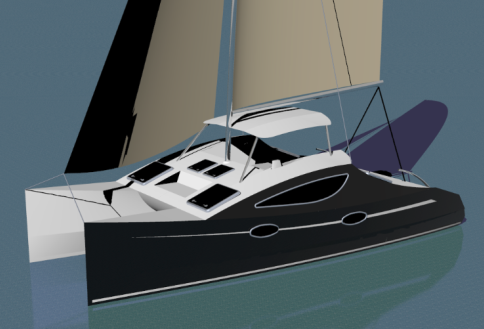 The Seascape design featured is a design which brings new meaning to ‘small cruiser’, with a surprising amount of accommodation and cruising comfort from something not much bigger than a typical off-the-beach cat. More information can be found in our design section...including Study Plans.